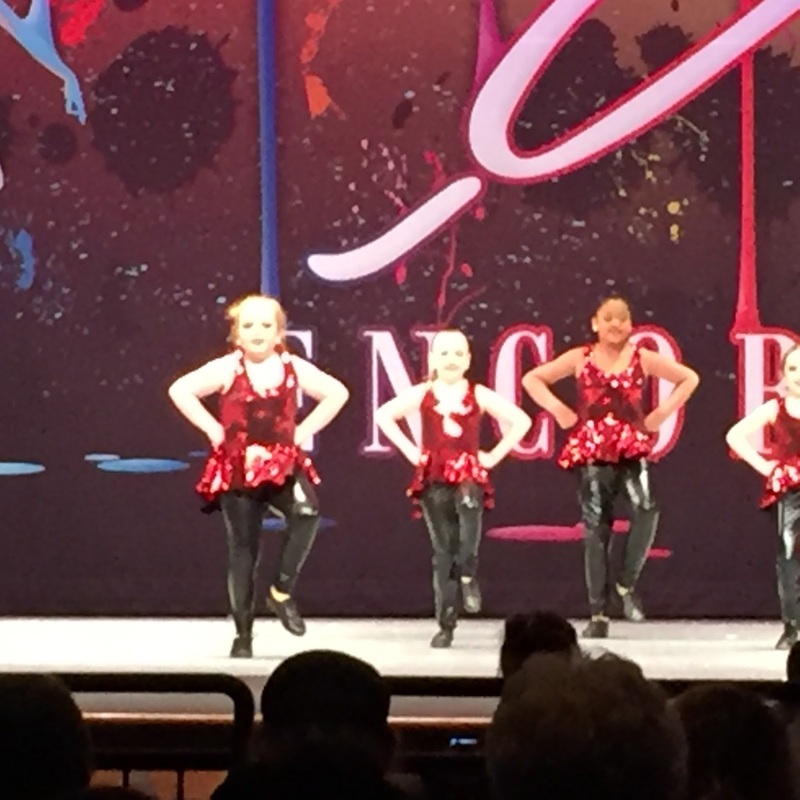 I spent this past weekend with my granddaughter Alannah and my daughter Kelly in Lexington, SC for Alannah’s dance competition. We got to our hotel at 6:30 on Friday evening. The traffic was unreal. Unpacked the car, checked in and headed to supper. 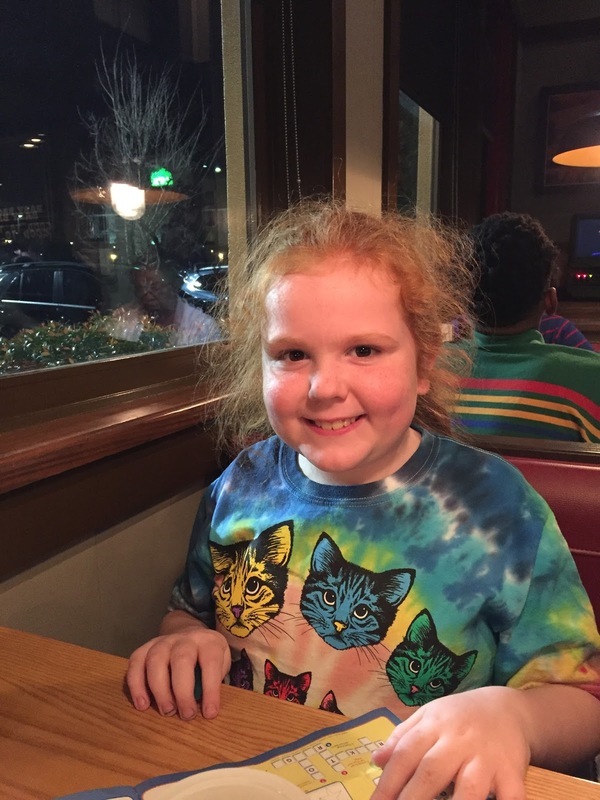 We went to Chili’s, I’m not really a fan, but it was close. We were tired from the drive and starving. Here’s my little dancer waiting for her supper. Of course on a Friday night it took forever to get our food. Saturday started early, we were up at 5AM. 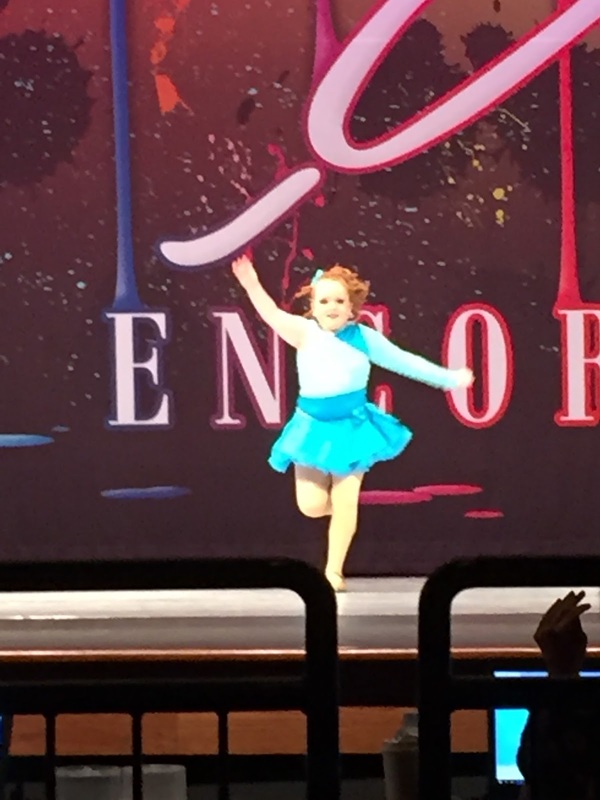 Alannah was to dance her solo at 8AM and she needs to be there dressed an hour prior to going on stage. It takes a while to get ready as she needs hair and makeup done. Just before she went on. Better When I’m Dancing was her music. She got High Gold and First Place and 3rd overall for her tap solo. Great job Alannah! She also got High Gold, 4th overall in Hip Hop group, 2nd High Gold 2nd overall in Tap group, High Gold 2nd overall in Clogging group and Gold 2nd overall in Jazz group. She had a great weekend. I love going to watch her dance. She truly loves it and you can see it on her face. I am always amazed at how talented many of these children are. Some of the performances were just outstanding. Of course, you always have some schools who dress these young girls inappropriately and have them dong moves that adults shouldn’t even do to music that is beyond suggestive. I wonder what their parents are thinking permitting their young girls to participate in a school that is promoting such vulgar routines. 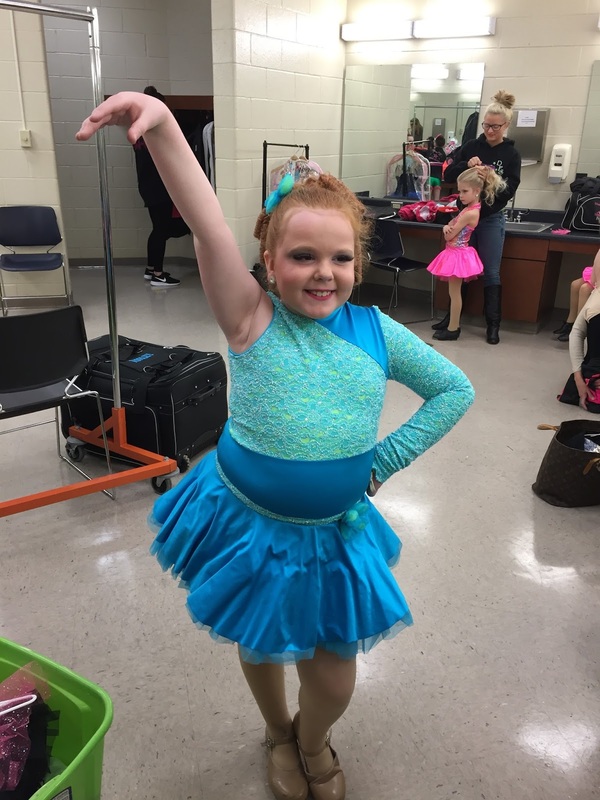 Anyway, Alannah dances for a studio that edits the music and teaches age appropriate dances and uses tasteful costumes. My daughter takes Alannah quite a distance for her to attend this school while there is another school right up the street from her. I am so grateful that Dynamic Footworks is owned and run by a woman who is just as interested in teaching the girls to respect themselves. Here are a couple of pictures of Alannah dancing.